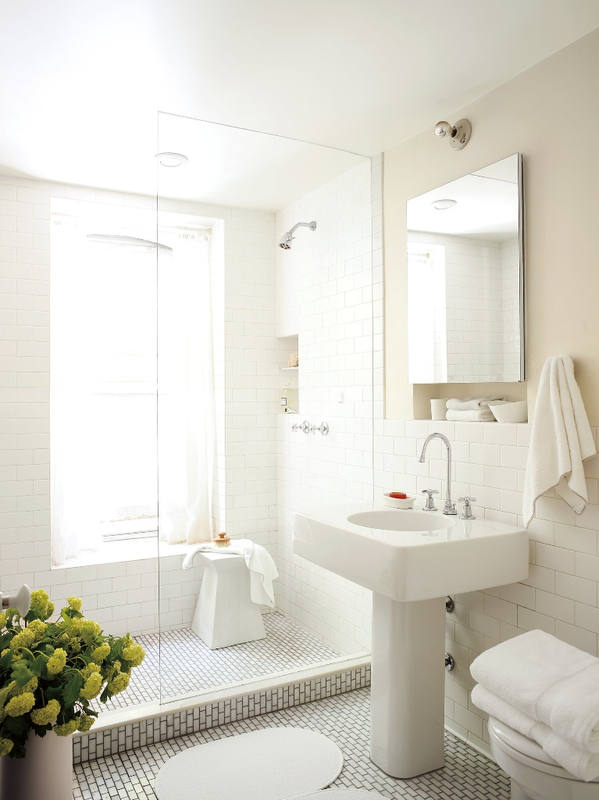 Its one of the smallest and busiest rooms in the house, often with limited natural daylight. 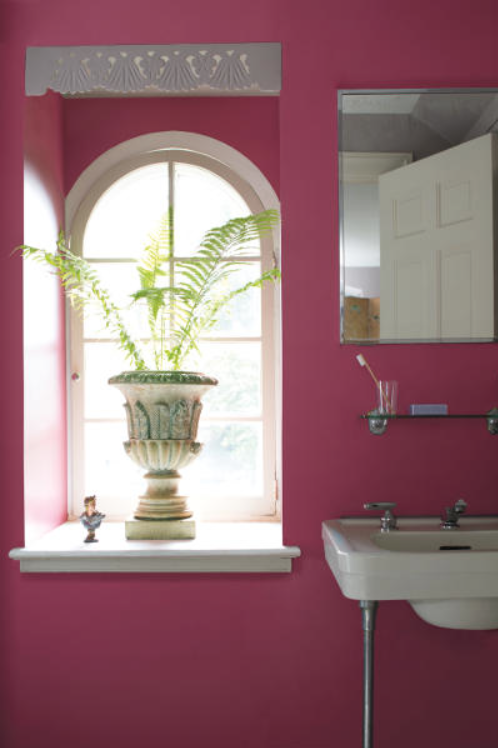 Add in the fact that specialist bathroom paints are often very limited in their colour range, so we often end up playing safe and sticking with something pale or neutral. 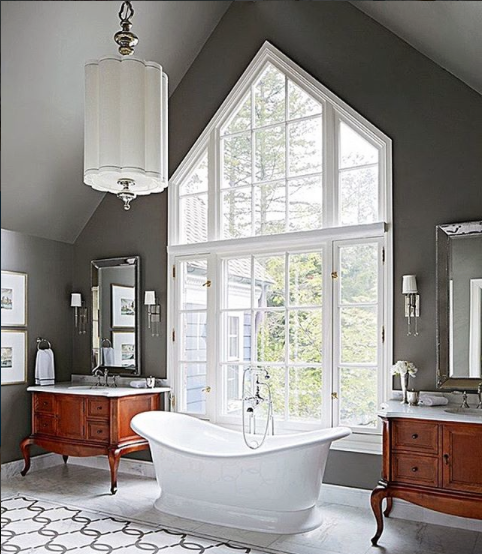 Our Aura® Bath and Spa paint is a stunning matt bathroom paint that is available in all of our 3,500 colours, so you can get creative and design something more sophisticated for this space, without compromising on important functional characteristics like resistance to humidity and mildew. 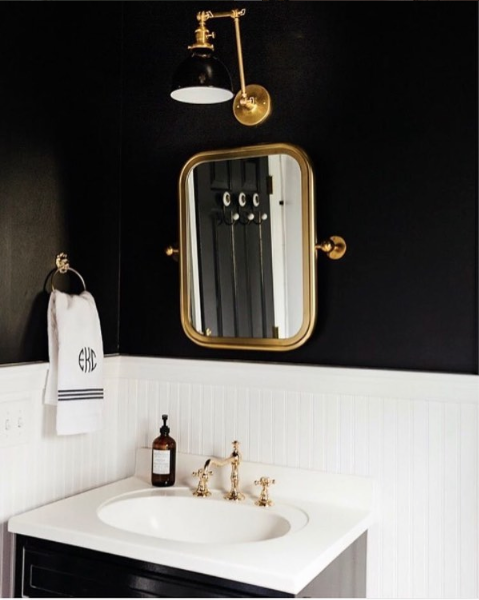 Today we are sharing some inspirational bathroom schemes, from our own library and also from those shared recently by our followers. 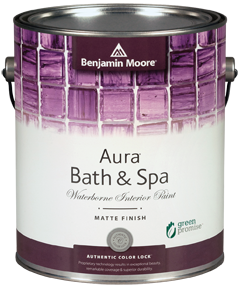 Whereas regular matt paints can not withstand humidity, Aura Bath and Spa allows you to use this contemporary finish in your bathroom. 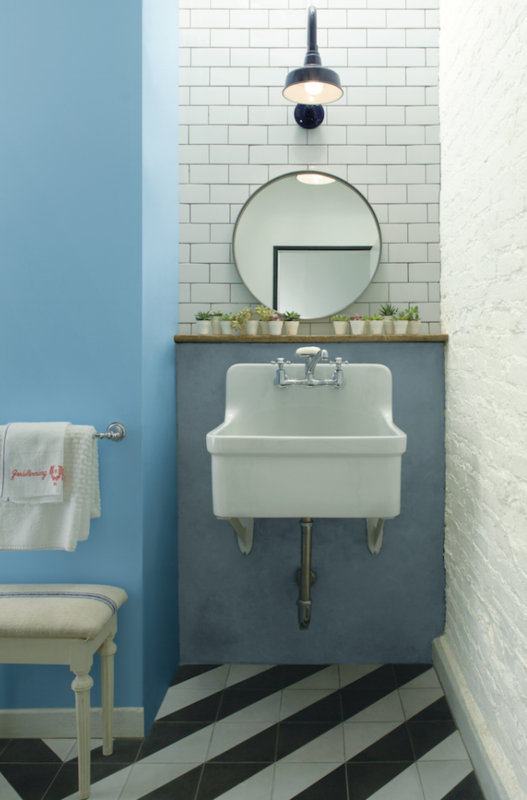 It is formulated to repel steam, minimising the condensation of water droplets on your bathrooms walls and helping to prevent unsightly water stains and streaking. 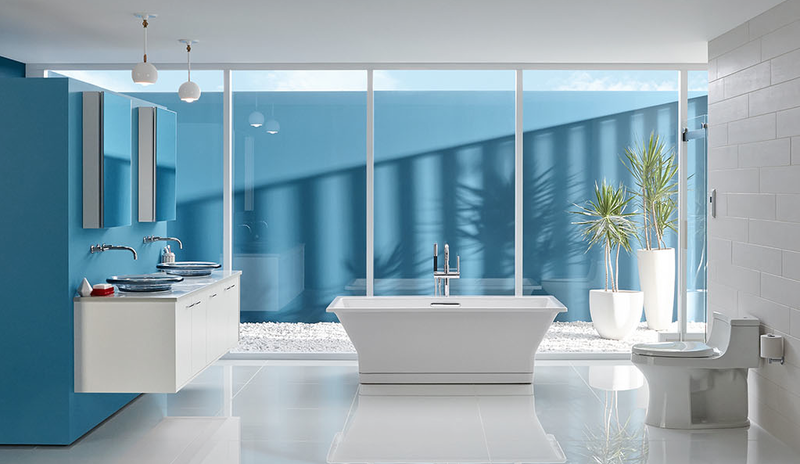 Of course, being part of the Aura family, Aura Bath and Spa also offers extreme hide, outstanding colour durability, minimal odour and a long-lasting beautiful finish. 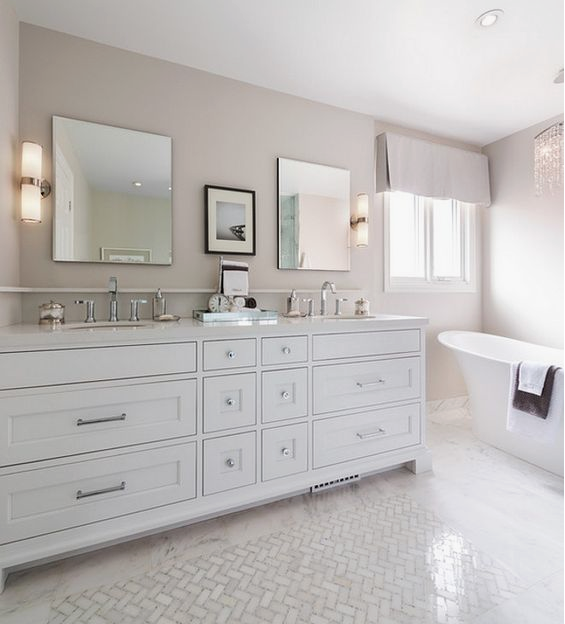 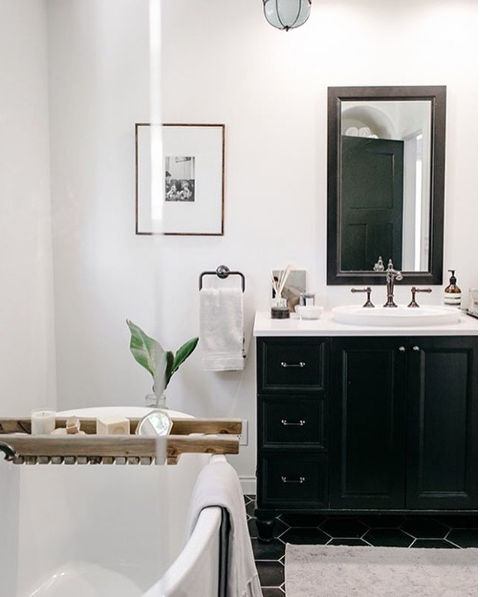 Here are some of our favourite bathroom updates that have been shared recently on our Instagram and Pinterest pages. 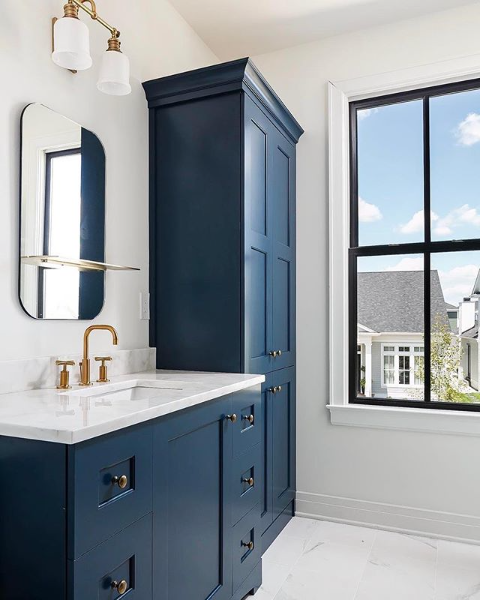 www.lavinlabel.com packs a punch in a small space with Hale Navy HC-154. 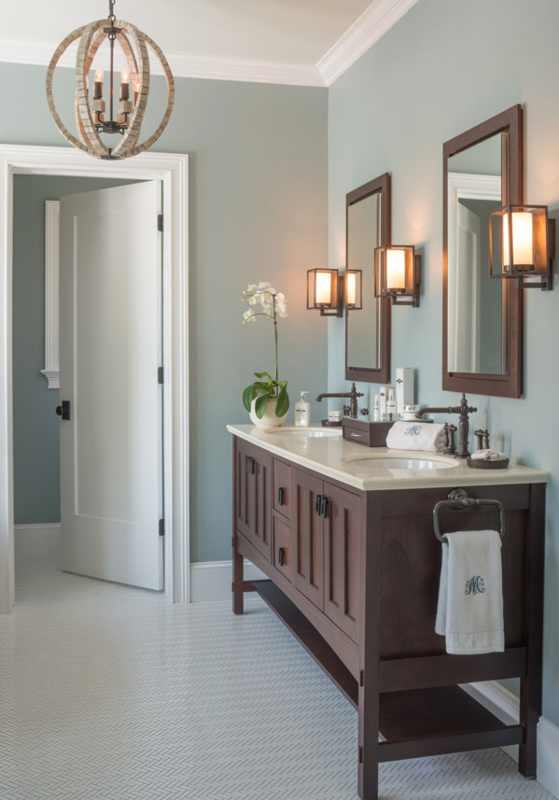 www.janelockhart.com uses Edgecomb Gray HC-153 to create this "hotel chic" bathroom. 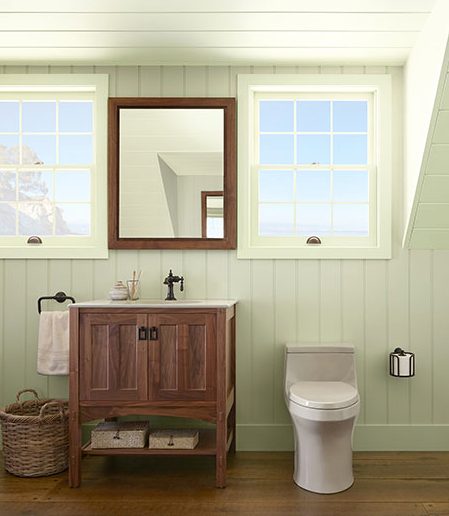 www.traditionalhome.com features Ashley Gray HC-87 in this soothing, elegant bathroom. 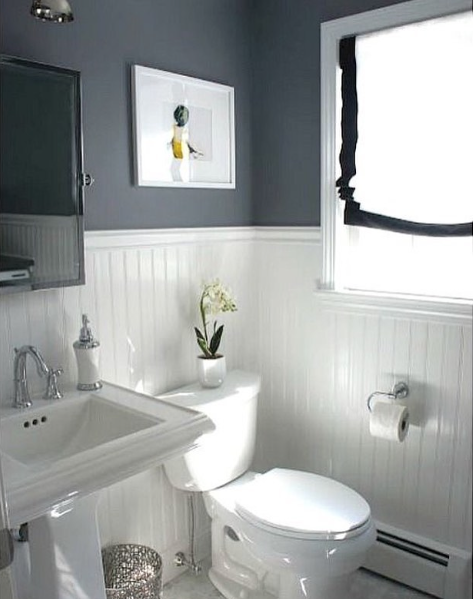 www.lesliecotterinteriors.com gave this bathroom a dramatic makeover with Gentleman's Gray 2062-20.
www.sfgirlbybay.com used contrast to create a crisp look. 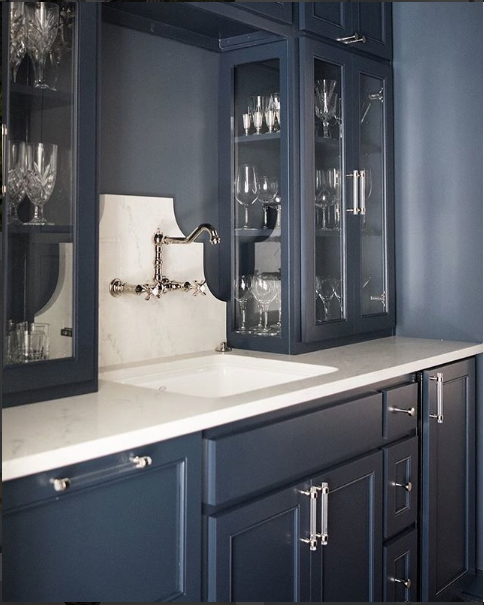 She used Oxford White CC-30 on the walls and Onyx 2133-10 for the cabinets. 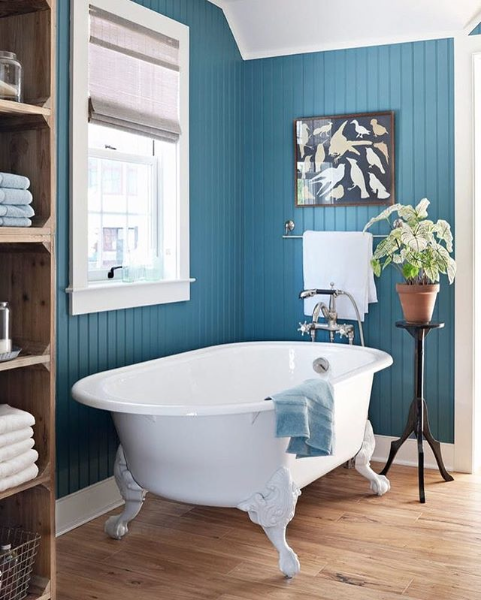 Blue is a classic color that will never go out of style. 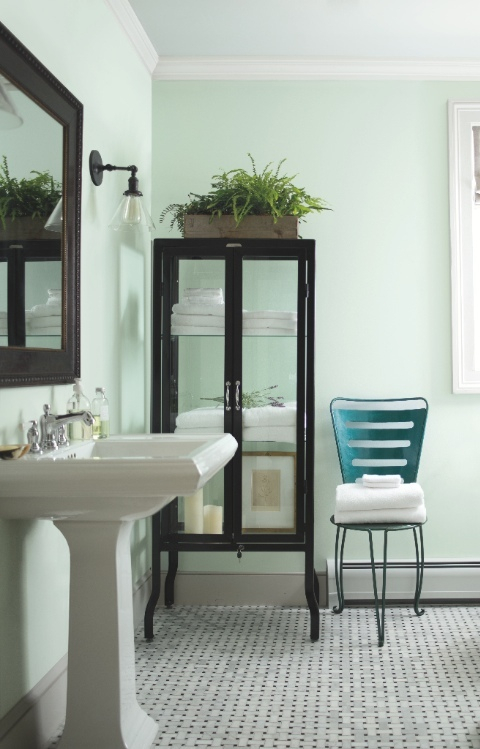 www.apartmenttherapy.com features Fiji AF-525 for a different take on tranquility in the bathroom.